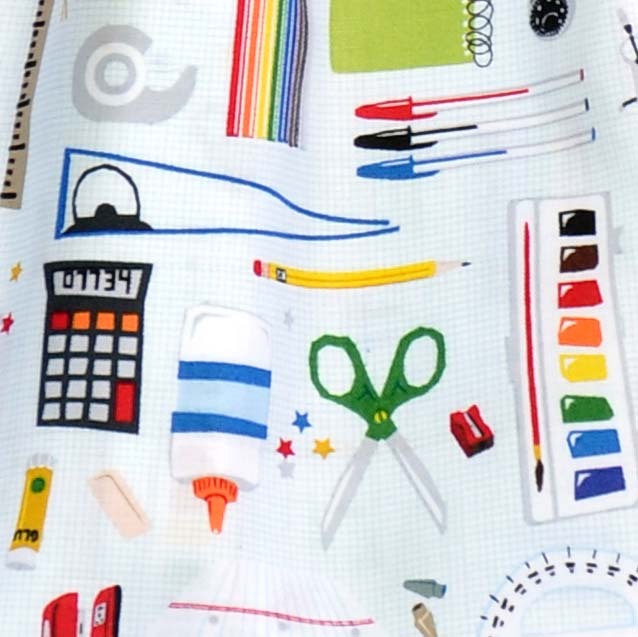 Colourful School Stationery Bag. Makes a Great Craft Bag or Library Bag! What a great bag to store your crafts in! 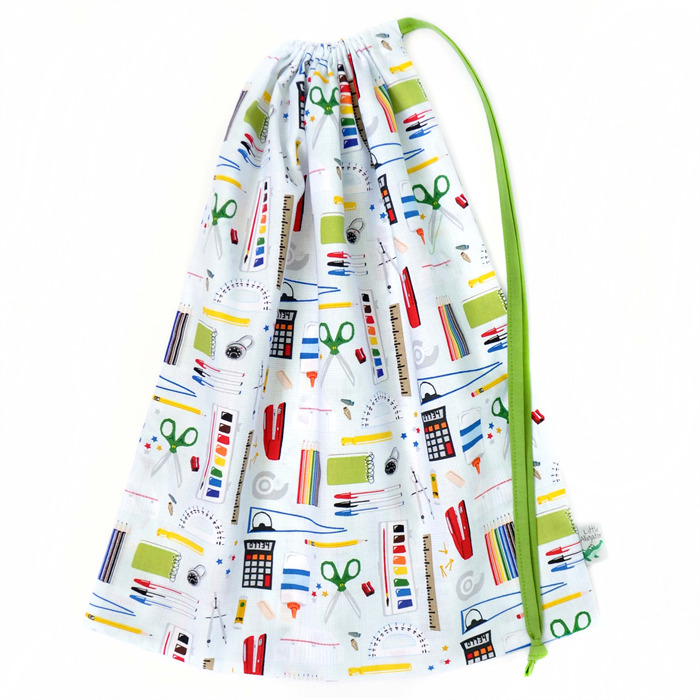 - Or give your teacher this fun drawstring bag featuring scissors, glue, pencils and lots of other cute stationery items. The large, lightweight yet durable bag is also absolutely perfect for use as a school or kindy library bag. It's designed so that you can fit in books, cot sheet & toys. Perfect for taking on holidays and in the car too. 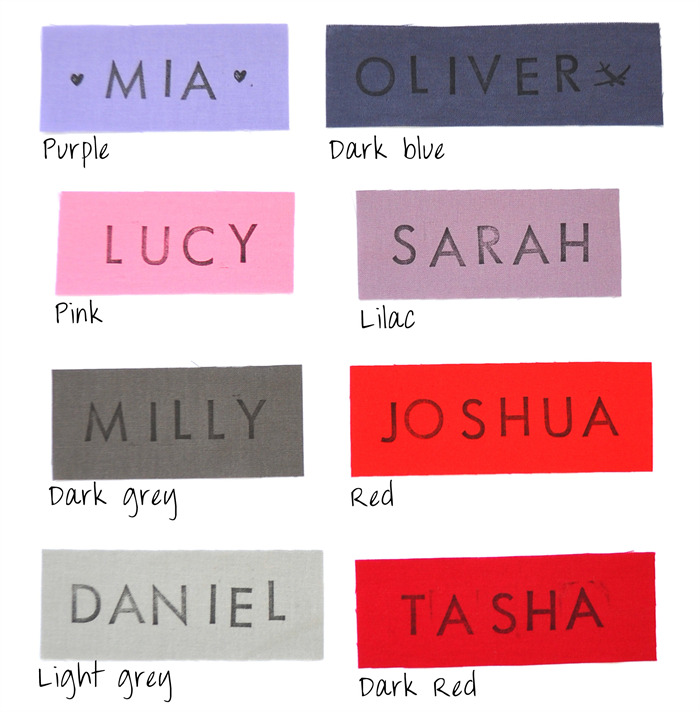 Great for adults and teens too - use it as a gym or shoe bag or use it to keep clothes separated while travelling. 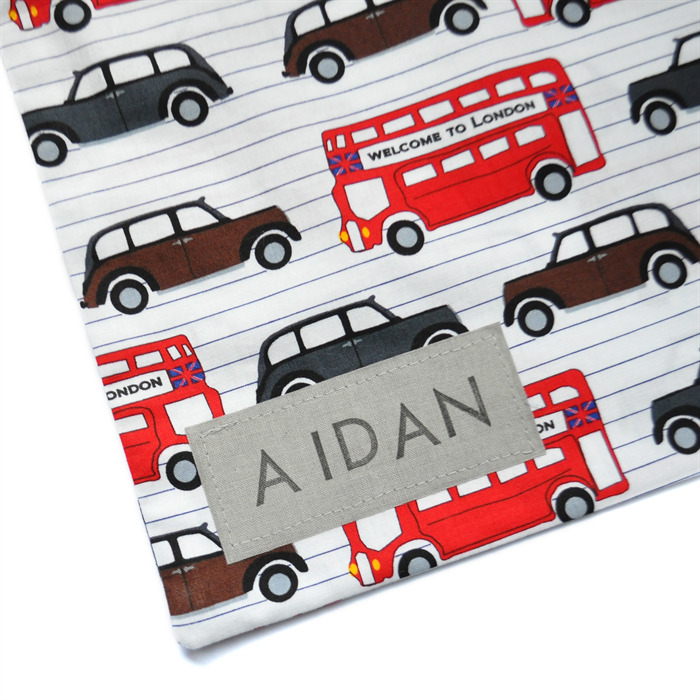 The name is hand stamped (and set using high quality black fabric ink) onto coordinating fabric and then sewn onto the bottom corner of the bag. 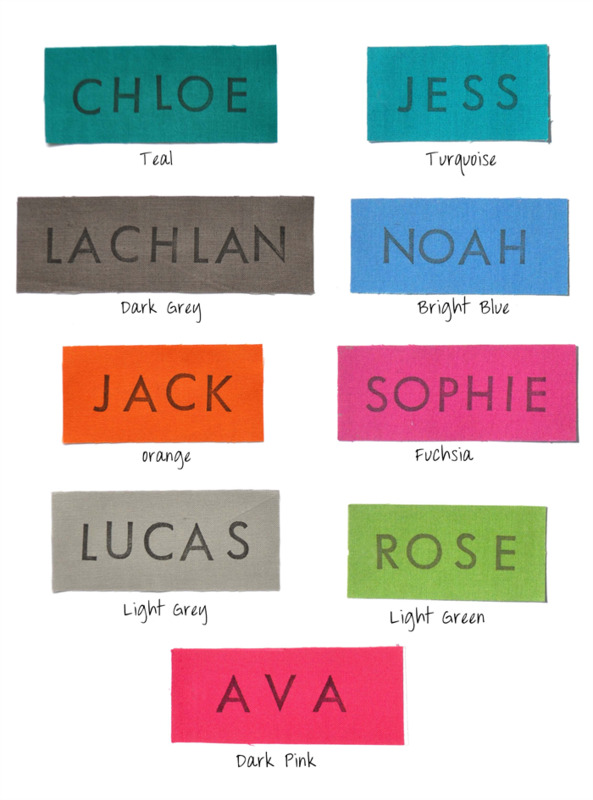 The recommended colour of the name panel for this bag is “LIGHT GREEN” with ink stamped in capitals. Measures approx 34cm (13.5") wide x 41cm (16.25") high.